A drive to constantly improve, to meet increased demands for higher efficiency and throughtput, has made FICEP a global leader for the past 85 years. Don't just take our word, ask our customers... FICEP equipment owners have seen the results, with unmatched reliability and increased productivity. 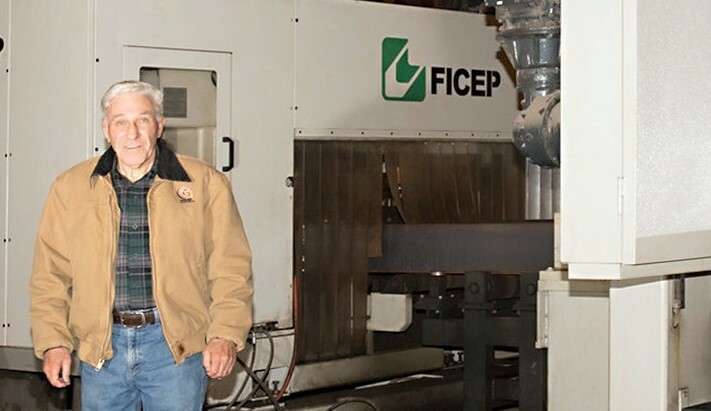 "In 2002 we were first introduced to FICEP's industry-leading technology when we purchased a 3-spindle drill line with a plasma robot in tandem. In the past 16 years we have purchased another 4 CNC FICEP lines to enhance our structural steel and plate fabrication efficiency. 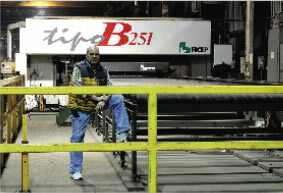 Our most recent purchase was FICEP's Intelligent Steel Fabrication which features full automation including the material handling functions without operator involvement. The versatility of this CNC drill line enables us to also generate weld prep with rat holes in a fraction of the time. Stone Bridge Iron and Steel, Inc. has prospered during the past 16 years, and FICEP has played a key role in our growth and competitive advantage!" "At Greiner Industries Inc. we specialize in many unique applications and projects. 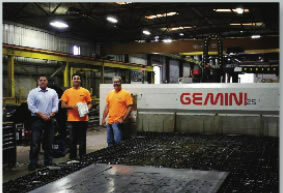 In 2006 we purchased our first FICEP line which consisted of a CNC drill and robotic coping system to address the many unusual fabrication challenges we face. Based upon the performance, accuracy and service support that we received on our first FICEP line we had the confidence to invest in another FICEP drill/saw line in 2014. We are amazed everyday with the speed, accuracy and flexibility that we achieve with our FICEP lines to address the demanding needs of our customers!" 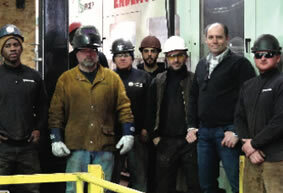 "In 2012 we made our first investment with FICEP when we purchased a single spindle CNC drilling line. 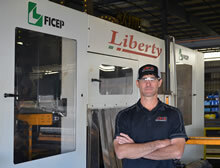 Three years later our business had grown to the point that we needed to make the next investment when we purchased a drill/saw tandem from FICEP." "Since the first purchase of a FICEP drilling line we have been eliminating manual layout with the full utilization of FICEP's scribing capability. The ability to extract automatically the scribing data from the 3-D model without manual programming is the key as it would make no sense to manually program locations, length of lines, radius criteria, etc. This level of technology enables us to increase our monthly tonnage by 500% now with a fraction of the manpower." 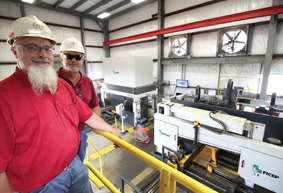 "In 2006 we made our first investment in a CNC drill/saw line with FICEP. As technology is constantly changing, we explored the market again in 2015 and determined that the level of technology had grown substantially since our first FICEP installation. The result of our investigation was to again purchase a drill/saw line from FICEP where the entire system, including loading and unloading, is fully automatic. Now my former operator has become an "attendant" where he is addressing other related tasks while the FICEP system processes material. This automation includes the loading of stock length material, processing finished parts that are drilled, layout locations scribed and then cut to length for final unloading of the finished part, drop and trim cut without his presence. Now that is what I call INTELLIGENT STEEL FABRICATION!" "In 2003, we ventured into the world of structural steel fabrication with the invention of a unique structural steel connection and erection process. At that time, we thoroughly researched CNC equipment for structural steel fabrication and identified FICEP as the true innovator and leader. As our business continued to grow, it became necessary for us to expand our capacity. Once again, after a comprehensive search in 2016 for the best viable solution, we concluded that FICEP was still by far the industry's absolute best option. After installing the Intelligent Steel Fabrication technology from FICEP, we are exceedingly satisfied with its performance! " "At ADF Group, the first thing we look at when investing in our production process is where we could gain the most efficiency and improve productivity, while at the same time preparing for the future. With FICEP equipment, we actually adopted tomorrow's technologies today. The automated production lines at our Canadian operations use FICEP high performance equipment since 2007. 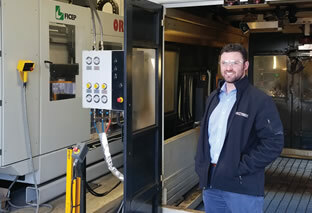 Because of the gain in productivity and qualitym we also chose FICEP equipment for our new sate-of-the-art fabrication plant in the United States." 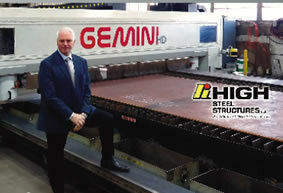 "As one of the largest structural steel fabricators in North America, High Steel Structures LLC has a constant demand for high productivity levels. We continnously strive to improve our efficiency and through-put, while accommodating a very heavy volume of work in the smallest footprint possible. We have been pleased with our FICEP equipment's level of technology, so we chose to add their dual spindle drilling system to our Gemini plate processing line. The independent sub axis has proven to be 40% more productive than a single spindle plate processor alone." "I purchased my first FICEP structural line in 2008 and then installed two additional lines in 2013 to meet our growing demand. In 2015 I invested again with FICEP for a new CNC drilling line. 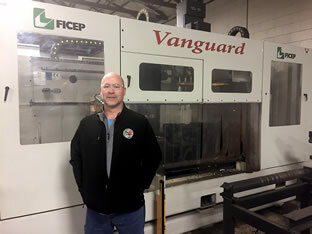 At Ramar Steel Erectors I have always invested in the latest in fabrication technology which is why I have partnered with FICEP, as they are the proven industry leader"
"When I purchased our first FICEP CNC system in 2007 this was a big step for our firm as CNC technology was new to us. The FICEP team was fantastic and their service support is first class as they assisted us each step along the way to make sure our first CNC line performed as expected. In 2014 when our firm had grown to take the next step, we opted for the FICEP ENDEAVOUR three spindle line with auxiliary stroke X axis spindles as I needed the additional versatility as space is a premium in our shop. With the new FICEP I not only drill and scribe layout locations but I also mill all my copes and weld preps. Now that is A GAME CHANGER!" 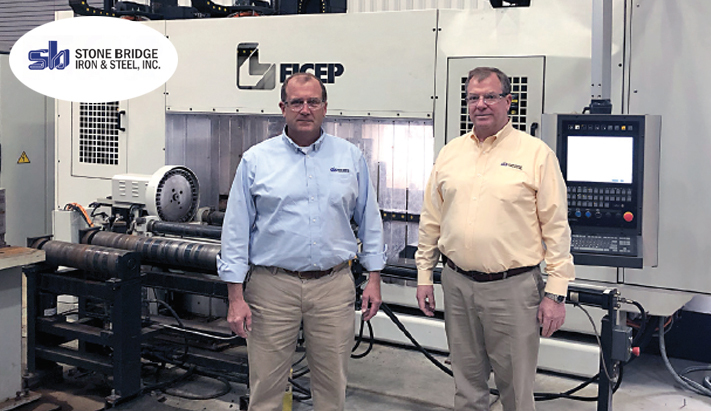 "Since purchasing our first FICEP lines in 2003, the high level of technology and support that Dave Steel Company has received from FICEP over the years greatly influenced our equipment decision for our facility in Chesnee, South Carolina. We started with a completely automated FICEP system for drilling, sawing and thermal coping, operated by just one attendant. We later added two more automatic FICEP lines to continue our program of increasing efficiency. From being one of the first FICEP equipment installations in North America to one of the first fully automated processing systems in the world, we continue to look to FICEP to develop further technology for our equipment solution needs."